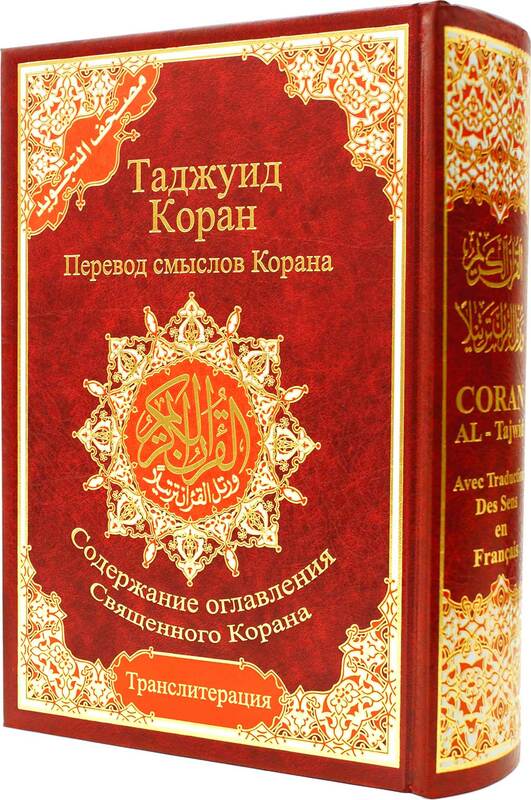 This complete Colour Coded Tajweed Quran comes with a nice and beautiful hard cover, it includes translations and transliteration into Russian. 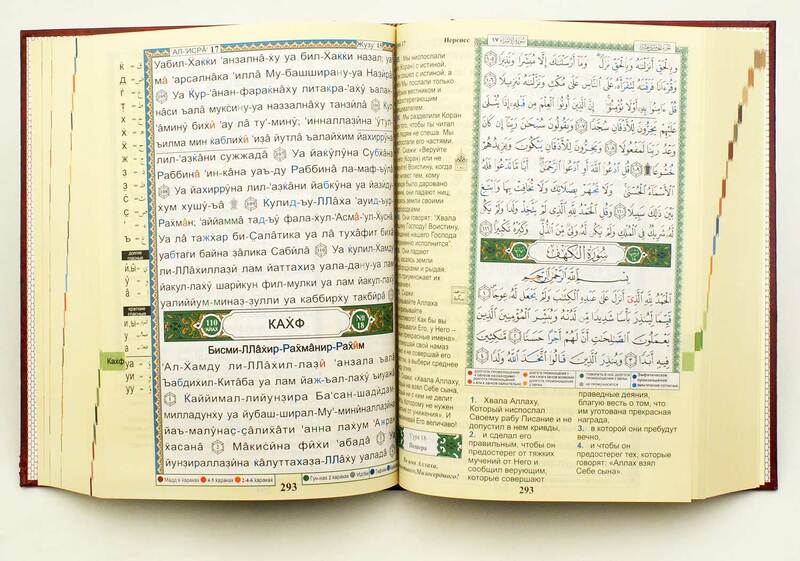 If you're looking for a High Quality Qur'an and Super Fast FREE shipping, this is the place. Therefore I'm going to order two more (one in English & one in Spanish) for my friends who are converted to Islam (&#1575;&#1604;&#1581;&#1605;&#1583; &#1604;&#1604;&#1607;). Thank you very much EQS!